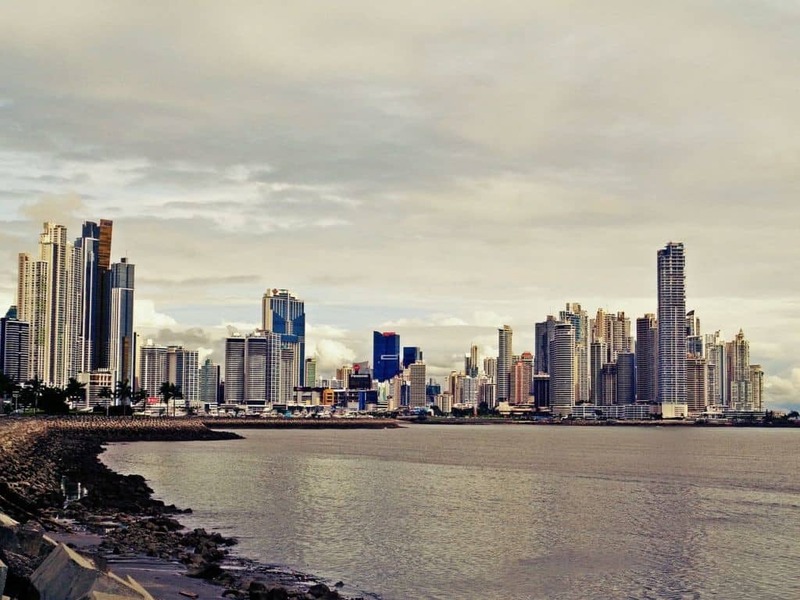 Panama Republic of Panama is located in Central America with the famous “hub of the Americas” connecting 39 countries and more than 150 cities in Latin America, USA and Europe. 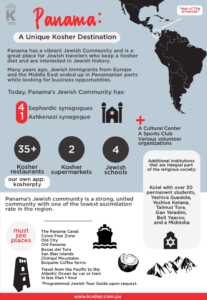 Panama has a vibrant Jewish Community and is a great for Jewish travelers specially seeking kosher diet and Jewish history. Founded over 100 years ago, Jewish immigrants from The Netherlands and then Europe and Middle East, end up in Panamanian ports seeking business opportunities. Most homes keep kosher diet and are a vibrant Jewish atmosphere as Jews are involve in all kind of industries. Panama also is single out as the country with 2 former Jewish presidents. With over 35 kosher restaurants, 2 kosher super markets and 4 Jewish schools, and Cultural Center, Sports Club and a strong and united community, Panama is one of a kind as enjoys the lowest assimilation rate in the region. Additional institutions such as a Kolel with over 30 permanent students, Yeshiva Guedola, Yeshiva Ketana, Talmud Tora, Gan Yeladim, Beit Yaacov are integral part of the religious society. Panama has also a programmed Jewish Tour Guide upon request. Traveling from the Pacific to the Atlantic Ocean by car or train in less than 1 hour. Come and have a great kosher Jewish Latin American Vacations. Use “Is it kosher?” app to get information about kosher places in Panama. Find hotel in the city. We recommend some tourist guides to buy before travel.